“The vast Continent of Australia is rapidly growing into importance; new settlements are springing up, on various parts of its coasts, and the nucleus of a future great and mighty empire is already formed…”. The words of George French Angas in his 1846 publication, South Australia Illustrated. From the preface, he grasps the reader’s attention and it’s never relinquished, on account of the superb lithographic plates that follow. Each one is a beautiful representation of Angas’ original drawings, “coloured in the open air”, and depicting the South Australian Aboriginal people and some of the State’s finest scenery and wildlife. George French Angas was born in England in 1822. One of seven children and the eldest son of George Fife Angas and his wife, Rosetta, Angas studied at Tavistock Grammar School in Devon. 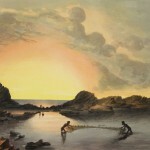 He developed an early interest in art and natural history and, after a brief stint in a counting house, took up art lessons under English sculptor and artist Benjamin Waterhouse Hawkins. The following year, in 1841, Angas set sail for the Mediterranean. Inspired by what he saw, Angas produced his first book, A ramble in Malta and Sicily, which he illustrated with lithographs he’d sketched “on the spot” on stone. In 1843 Angas set sail again, this time for Australia, and landed in the new Colony of South Australia in 1844. He immediately joined an exploring expedition to the mouth of the River Murray and the Coorong and also headed south-east to Kangaroo Island and Port Lincoln. 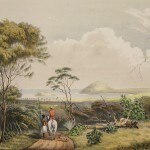 He recorded the land and the sea, and the State’s inhabitants in watercolour, exhibiting the drawings in the Adelaide Legislative Council chamber in 1845. These would later form the basis of Angas’ 1847 publication, South Australia Illustrated, a folio size edition of 60 hand-coloured lithographs. 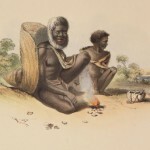 By 1849 he had produced a further three books: The New Zealanders Illustrated, Savage life and scenes in South Australia and New Zealand and The Kafirs Illustrated, the latter reflecting his travels throughout South Africa. In December 1849 Angas married Alisha Moran and the couple moved to South Australia, where Angas’ father had settled just two years prior. Almost immediately, Angas travelled to the goldfields near Bathurst and in 1951 produced two folios of hand-coloured lithographs of the goldfields of New South Wales and Victoria. Published in Sydney, Views of the gold fields of Australia comprised six sketches, drawn by Angas on the stone, and depicting the hectic activity on the new goldfields. The rare London version, Six views of the gold field of Ophir… was lithographed in England after the original drawings sent by Angas to the publisher. Both are considered the most significant graphic records of early Australian goldfield activity, and the first visual record of the beginning of the Australian gold rushes. In 1853 Angas was appointed secretary to the Australian Museum in Sydney, where he supervised the arrangement and classification of the first collection of Australian specimens, particularly shells. He held this position for seven years, before returning to South Australia in 1860 to take up the role of Chairman of the district council of Angaston until 1862. In 1863 he returned to London with Alisha and their four daughters. He remained there until his death in 1886. In his later life, Angas’ attention had turned more towards natural history than art. He was an active member of the Zoological Society and the Linnean Society, contributing many papers to the Proceedings of the Zoological Society, most of them on Australian shells. 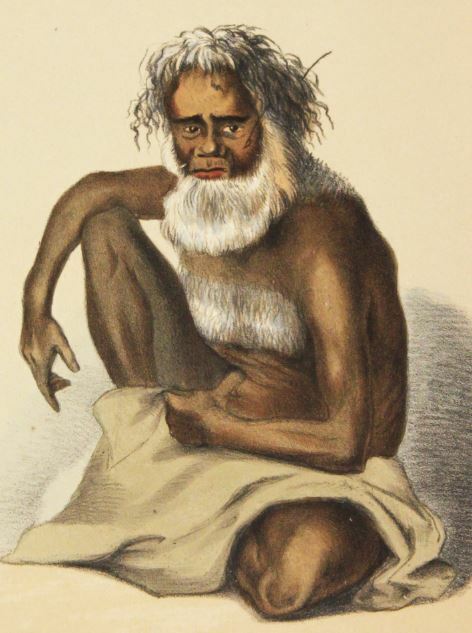 He also produced a further two books just prior to his death – Australia: A popular account of its physical features, inhabitants and productions, with the history of its colonization (1865) and Polynesia: A popular description of the physical features, inhabitants, natural history and productions of the islands of the Pacific (1866). His keen interest in natural history, whether it was entomology, ethnology or conchology, was ever- present in both his written word and his artwork. He was fascinated with the new colonies of South Australia and New Zealand and his works reflected an obvious admiration for the “grandeur and loveliness of Nature” at its wildest. 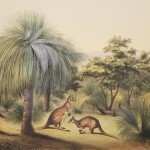 South Australia Illustrated is no exception, containing sixty lithographs of Angas’ finest open-air drawings. In it, he claimed to have been “startled by the brilliancy of the climate, foliage, and other causes” since he was so accustomed to the grey distance of the English northern latitude. This brilliancy is perfectly captured in illustrations of the city of Adelaide, Yankallillah (sic), the River Murray, Mount Schank, Port Adelaide, Coorung (sic), Mount Lofty, Klemsic (sic), Port Lincoln, Lyndoch Valley, Encounter Bay, Mount Gambier, Marble Range, Rapid Bay, Angaston, Kapunda, Currakalinga (sic) and many more. 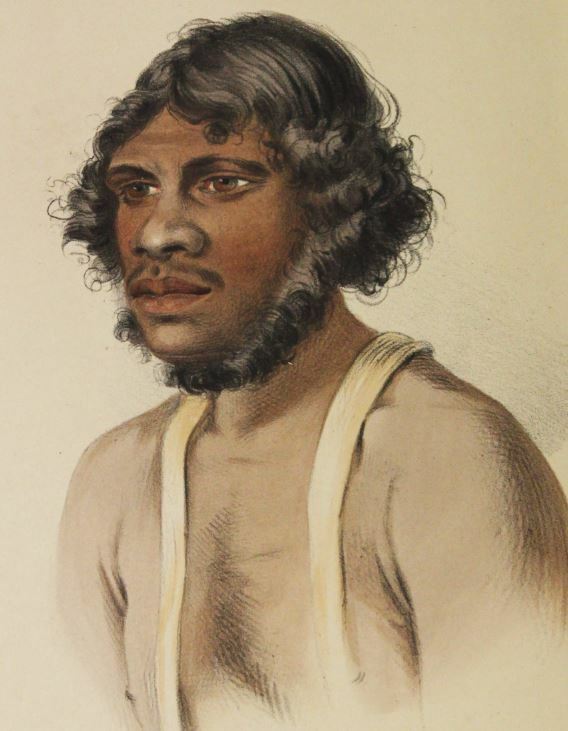 Portraits of Aborigines are also included, along with colourful depictions of their implements, ornaments and utensils, and dances such as the “Kuri” and the “Palti”. 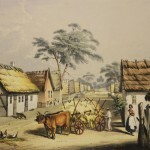 Rare Books & Special Collections holds four original 1847 editions of South Australia Illustrated. Three of these were bequeathed to the Library by Christine Margaret MacGregor, Sir Samuel James Way, The Honourable Sir George Murray (Chancellor of the University) and one was presented by the Trustees of the Estate of the late David Murray Esq. The Library also holds a facsimile edition which was published in 1967. 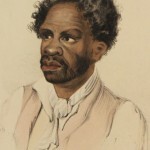 Original works of Angas’, including sketchbooks, watercolour paintings, and pencil and wash drawings are held by the National Library of Australia. 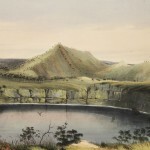 Many of the original watercolour drawings from which South Australia Illustrated was produced, are held by the South Australian Museum and the National Gallery of South Australia. 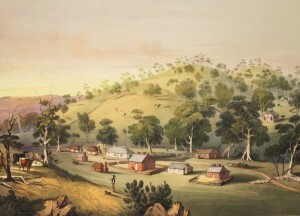 “Six views of the gold fields of Ophir”. George French Angas. Horden House. Accessed online 30 September 2016. “Angas Collection”, National Library of Australia. Accessed online 29 September 2016. Angas, George French. “Preface”, South Australia Illustrated. London: Thomas McLean, 1847.